Only post workout protein source you should be looking at. Bar none!! Great protein. Does what it claims to do. Mixes absolutely well. Tastes great. No bloated feeling. Only gains. What else can we expect? I'm going for more. Anything you mix it in. Juice or whatever it mixes without hassle. 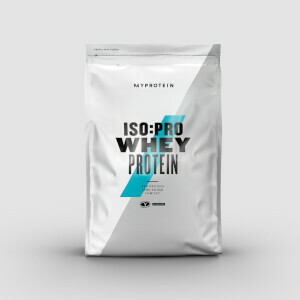 I have been using this protein for 2 months now and am happy with it. I use flavdrops with it ( 4 drops are enough) but even without it taste is ok. Mixes well with water. 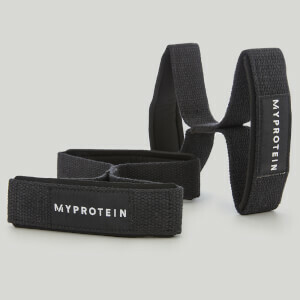 I can't say that it is solely responsible for my improvement as I use various other products but would like to believe it does what MyProtein say it does. Most important is that my stomach takes it ok as a few other myprotein proteims gave me issues. I've not had this product for long enough yet to judge its effectiveness but it is very easy to mix and creamy and pretty much tasteless; this makes it very useful to use as a supplement to other foods too. Add to all this, the fact that you can easily mix the required scoop and a half to no more than 150ml of water and you've got a very powder. Why people moan about the taste of a powder when it is drunk in such small quantities and for such a minuscule period of time in one's life I'll never know. And whoever said this tasted "bitter" is just plain lying. For me - results all the way; taste - unimportant. The icing on the cake is the price.So low that I am truly wondering whether this really IS hydrolysed protein? Hmmm!!! This is a very quick release protein. I use the non flavoured version and add flav drops. It is mixing great and does not give me tummy problems like some other powders. Effective protein that really works. Good taste of concentrating milk. Mixes well. I use lactose free milk.